Born in 1972, conductor Ryuta Nishikawa studied and graduated from Waseda University, Tokyo University of the Arts and its Graduate School, where he received his master’s degree. In 2010, he conducted the world and Japanese premieres of eight works by composers coming from seven different countries, at Asia Music Festival 2010, sponsored by The Japan Federation of Composers, Inc. (JFC). While he was studying at Tokyo University of the Arts, together with his vocalist colleagues he founded the ensemble of vocal soloists Vox humana, and became its conductor. He is also the conductor of the Male Choir Chœur Zephyr, Mixed Chorus - Ku, Female Choir - Akatsuki. With the aim of creating the new era of the classical music and collaborating with composers, he has premiered over 150 works so far. In 2012, he received The 21st Asahi Contemporary Music Award. 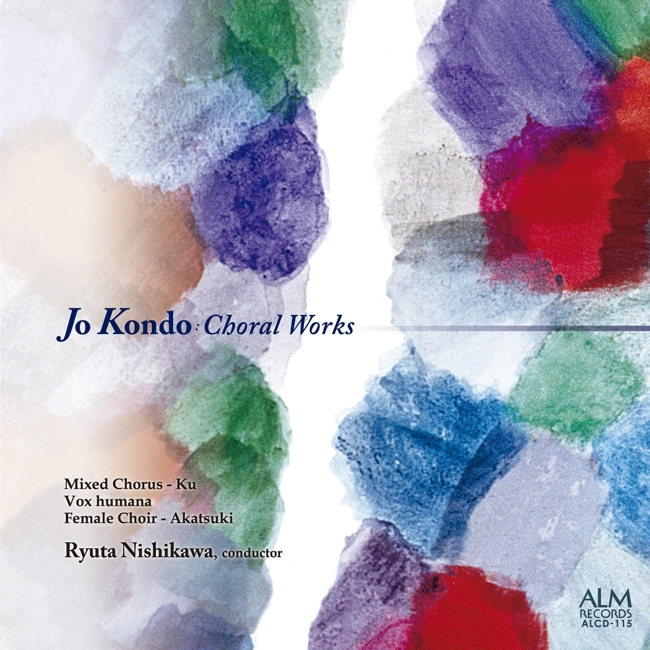 An ensemble of vocal soloists, founded in 1996 by Ryuta Nishikawa and his vocalist colleagues at Tokyo University of the Arts, Vox humana, or “Human voice” in Latin, seeks the possibilities in the creation of new music for voices. Their subscription concerts are held twice a year. Since 2001, the ensemble has been regularly commissioning new works with the aim of creating and establishing the new repertoire for choir, and so far they have premiered 92 works. Mixed Chorus - Ku and Female Choir - Akatsuki were both founded in 2007. Since then, they have been in pursuit of the forefront of new music. Ku is comprised of members who come from diverse backgrounds: college students, adults, conservatory students, and amateur musicians. Akatsuki consists of alumnae of the Music Department at Tokyo Metropolitan High School of Music and Fine Arts, who all have studied at or graduated from music conservatories.To this day, the two choral groups have given new premieres of works by Joji Yuasa, Yori-Aki Matsudaira, Makoto Shinohara, Jo Kondo, Michio Kitazume, Toshiro Saruya, Hiroshi Yokoshima, Haruyuki Suzuki, Hiroyuki Itoh, Sunao Isaji, Yoshifumi Tanaka, Keiko Harada, Masamichi Kinoshita, Yasunoshin Morita, Yasutaki Inamori, Osamu Kawakami and others. Pianist Masanobu Shinoda graduated from Tokyo University of the Arts with bachelor’s and master’s degrees in music composition. He has garnered prizes and honors to this day, including the first prize in the composition division of The Music Competition of Japan and the 9th Saji Keizo Prize. In addition to composing, Shinoda is also widely active as a pianist, premiering new works and performing in various ensembles.